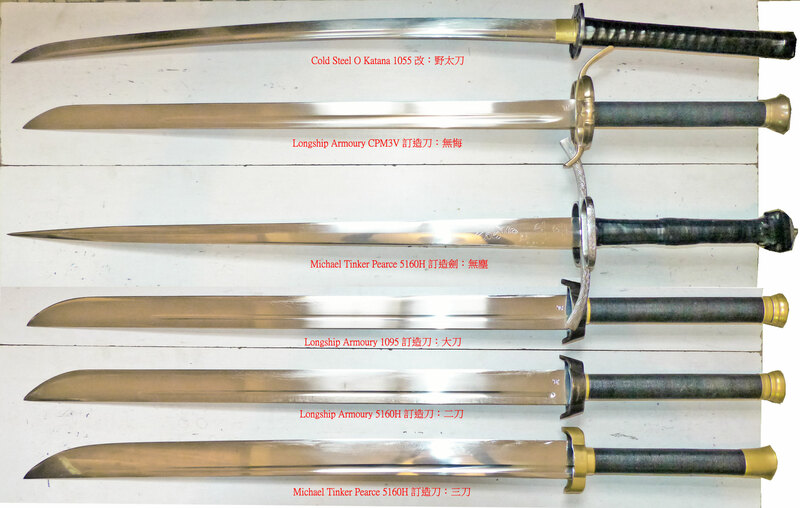 Trying to take a group photo of my swords, showing correct perspective to compare blade length, width and hilt length. It ended up taking more photoshop editing than I had expected. And from what I know about you, they are very sharp. Yes. Here are some of them in action, cutting chopstick cored newspapers rolls, at upper arm difficulty. Nice swords! What happened with Tinkers pommel? I modded the grip's size to mimick the other swords so they can be gripped with the same style.